HAHAHAHAHA! I have a small 6 lb purebred chihuahua, and I get handfuls that come off of him every time I brush him. He is a mostly black tricolor and even though he is short-coat, his hairs are about 1.5" long (he has long hair in his family. All his body fur and tail fur is very long.) I am getting my Corgi in 5 weeks here and I already have a furminator. Some of the best money I have ever spent! And I know what you mean by him looking better. My Chi's undercoat (or base of the fur) color is white, so he looks like he has salt and pepper until I brush him, then all his black majestical fur shows again. Yess!! Before and after every bath! 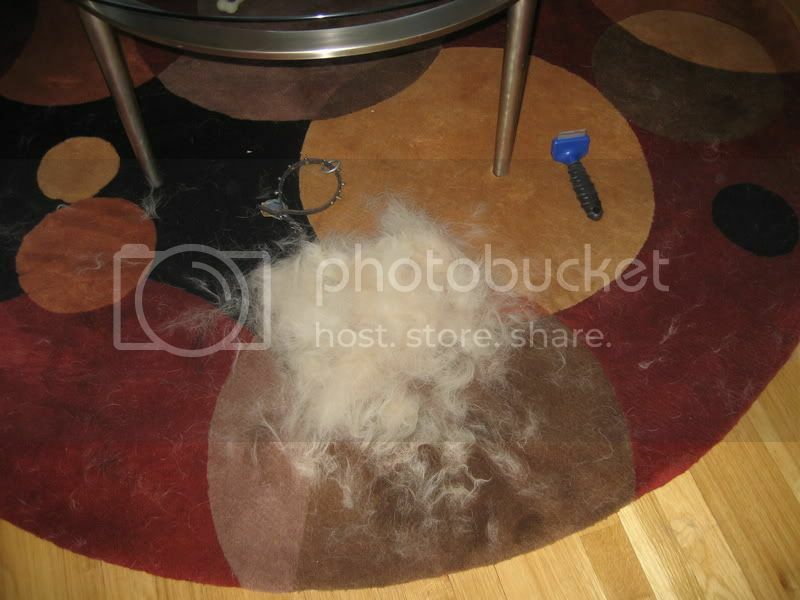 every weekend... everyday... hell Im furminating them righ.. ok not that far..